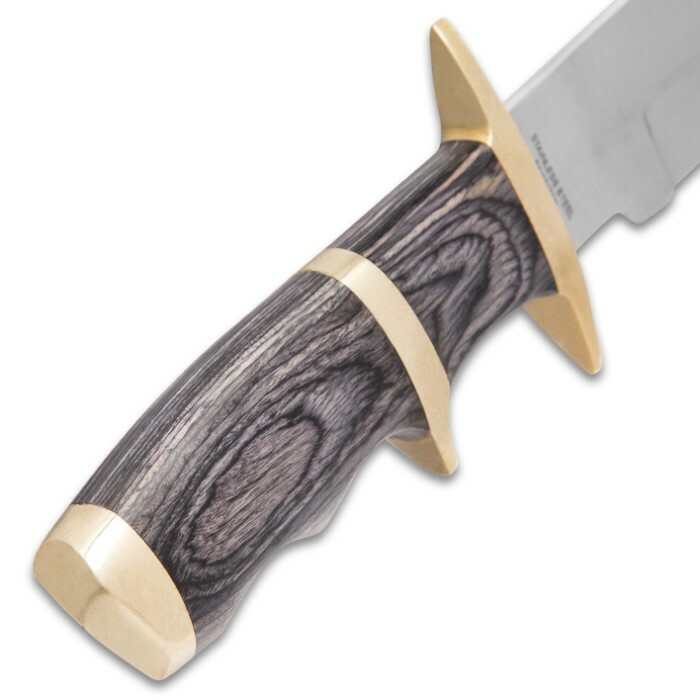 Timber Rattler Buffalo Joe Bowie Knife | BUDK.com - Knives & Swords At The Lowest Prices! Arrived quickly and in good order, no sheath, but I make my own, so no big deal. Very sharp, nice balance and looks real good. Slightly heavier than I expected, but I like the fact it feels good in the hand. Knife came nearly flawless...no scuffs or marks. The forward half of the blade had very little edge to it but it sharpened up nicely. I have to agree with other reviewers as to the ergonomic design concerning the trigger guard spacing...a quarter to three-eighths of an inch forward would allow a more comfortable grip. However, this is a very fine TR knife and well worth the price. I have already recommended it to a couple of people. Not a bad knife but needed an edge and an hour worth of stone work to get a nice sharp tip put on it. This is a beautiful knife. Bought it for a friend. The spacing on the trigger guard is a bit too wide, but other than that, perfect. Got mine today! All in all, for the price it is far larger, well constructed and worth far more than 6 bucks! There are slight blemishes, but I bought mine to.use not look at! The sheath is leather not vinyl! Again the knife is worth more than I paid and I am very satisfied! GRAB THESE WHILE YOU CAN BEFORE THE PRICE GO'S UP! I'M GOING TO GET MORE! Bigger than I expected! She is a beauty and came razor sharp. Will order more Timber Rattler. Thanks again BUDK! 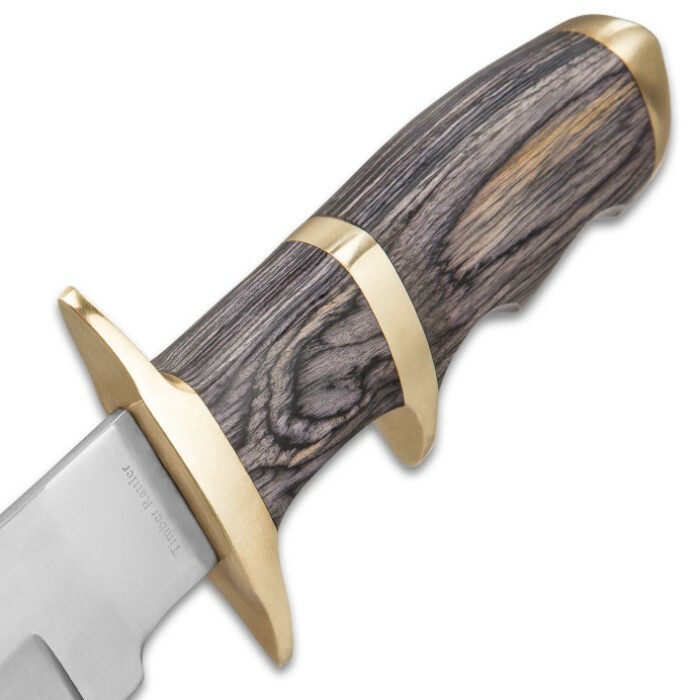 Well made knife. A nice companion to the TR65 Western Outlaw Bowie. Now if the trigger handle was moved about a 1/4 forward it would be a perfect grip. In spite of that it is a great looking knife that feels and handles well. Very sharp edge. For the price I paid for this knife. this is a great buy. 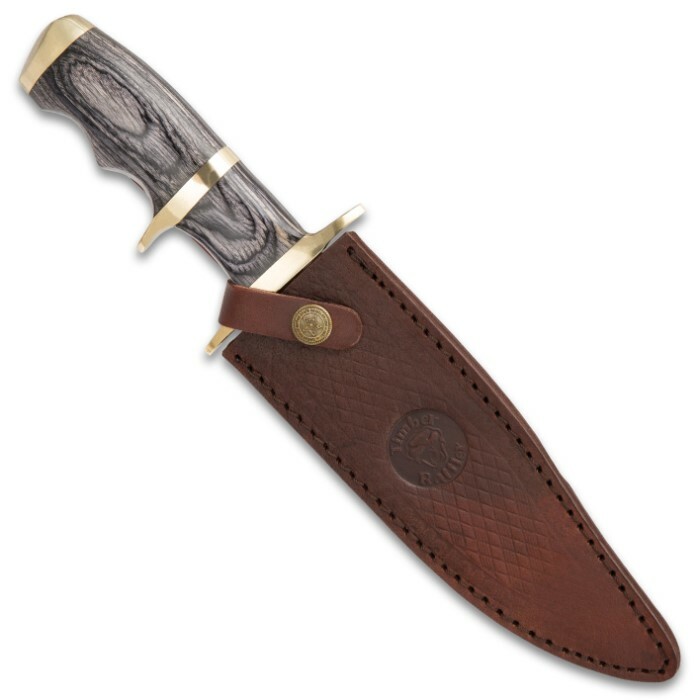 I was looking for a bowie with a handle that would compliment my 1858 Remington revolver with Black Buffalo grips. 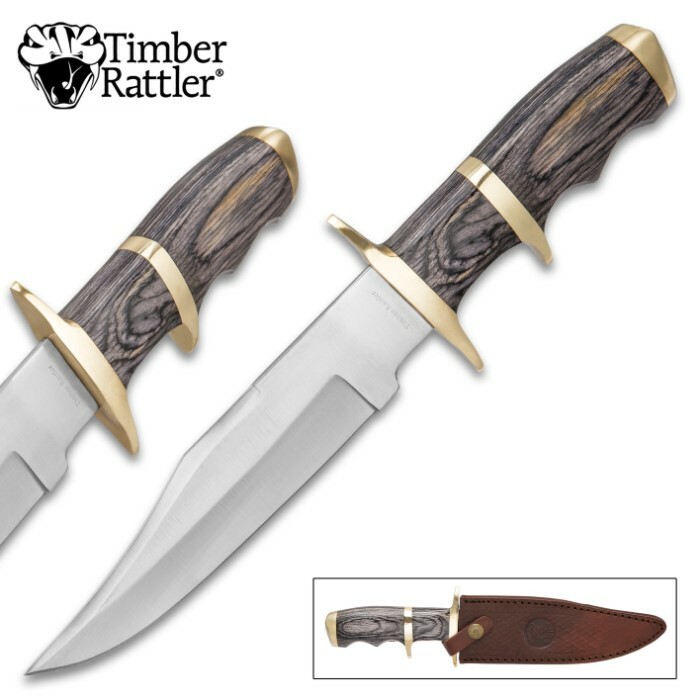 This Timber Rattler knife is perfect. very satisfied with quality and price.